In a Jam because of a Logjam? Since the purpose of this article is to inspire, care about, and equip you the reader, let’s address what I call the principle of the logjam. 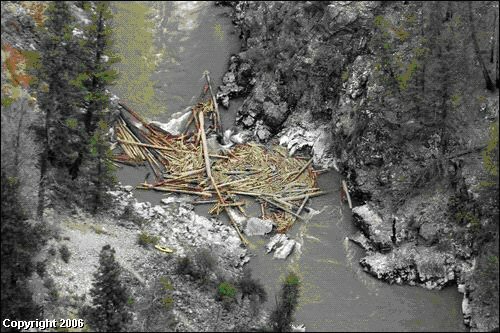 A logjam is created when one big tree falls into a river. It may float down the stream for a while or it may fall straight across a river. In either scenario, the tree's torso spans the river on both sides. It forms a dam that other fallen trees float down to form a ‘logjam’ behind it. Soon you have many, many more trees stacked up behind the one tree, plugging up the river. One tree causes all the other trees to stack up behind it. The same is true of problems. What happens to us is we have one big or main problem. We know what the problem is but for some reason never get around to solving the main problem. So, just like the big tree stacks the other trees behind it, our one main problem creates a logjam of other problems stacked behind it. Hint: If we get the one tree that is causing the logjam solved, we clear out the others trees too. If we get the one problem that matters solved, the other problems will clear out too! Let me say it again. Most don’t have heaps of problems. We have one main problem that is causing heaps of other problems. Clear the big log out and the little logs float downstream with the big log. The same is true with problems. Let’s think practically for a moment. What is the matter that really matters in your life? Most of us know what it is. We’ve identified it, thought about it, prayed about it, been concerned about it but we have never done anything about it. For some reason, we lose focus, we postpone, and we never end up doing anything with our matter that matters when it really matters. In other words, “Dear Lord, I have a problem, it’s me!” You might be thinking this is true but perhaps hurtful. Think of it from ‘truth’s perspective. Of course, the truth hurts - you would hurt too if you got kicked around so much. The truth sets us free when we apply it. What is the takeaway here? One thing I have learned in life is to deal with the one thing that you ‘gotta’ do and ‘gotta’ do now! Commit to doing the one thing, the main thing. Remove the big log. Let the river flow again. Setbacks pave the way to great comebacks. Yogi Berra once said, “You can observe a lot by just looking around.” Look for the one thing. The best way to make your dreams come true is to wake up. Focus ninety-percent of your time on solving the main problem and ten-percent of your time focusing on the problems caused by the main problem and you’ll get there.